From the first day Adventure Partners stepped foot on the land that was to become Amangiri, the message was clear– the rocks are the story. Adrian Zecha, Aman’s brand visionary, situated the resort to focus our attention on its star attraction– textures and forms shaped by the forces of Nature. Even the recipe for the hotel’s concrete walls was meticulously studied (over three months) to find a radiant surface and color compatible with the dominating Entrada Sandstone. The pool, perhaps Amangiri’s most famous architectural element, is a tribute to the geological forces which sculpt the surrounding landscape. Twice a day for almost five years, Adventure Partners’ guides have been leading complimentary hikes around the property and sharing stories about these rocks. If there is one take-away lesson from a stay at Amangiri, it has to be an encounter with “deep time”– a geological time scale vastly greater than human experience, history and plans. In every direction, one intuitively senses the passage of Ages (1 million years, 1000 Millennia), Epochs (10 million years, 10 Ages), Eras (100 million years, 10 Epochs) and even Eons (500 million years, 5 Eras). 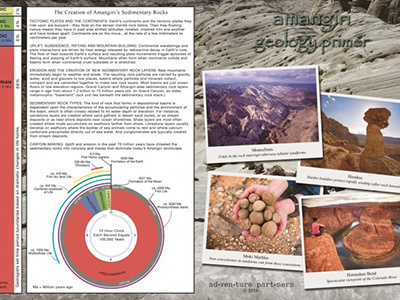 We have always wanted to express these ideas in a visual form, so have finally produced the “Amangiri Geology Primer”. 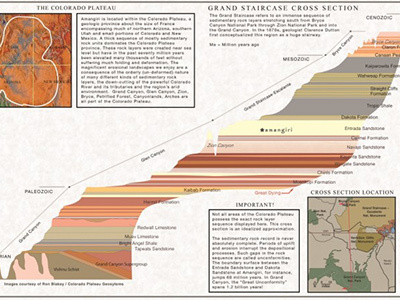 Another important concept we want to share is the distribution and proximity of our surrounding strata, referred to as the “Colorado Plateau” and “Grand Staircase”. Amangiri’s geological home is unique on the planet, providing guests with the ability to gaze upon, in a single day’s travel, 1.8 billion years of earth history. The “Geology Primer” is the first of three pieces we are developing for the resort. 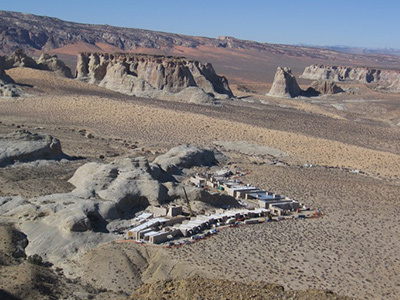 The others will cover regional archaeology and paleontology, fields of study for which southern Utah and northern Arizona are known around the world. It’s all about creating a strong sense of place, and illuminating a world just beyond the resort. 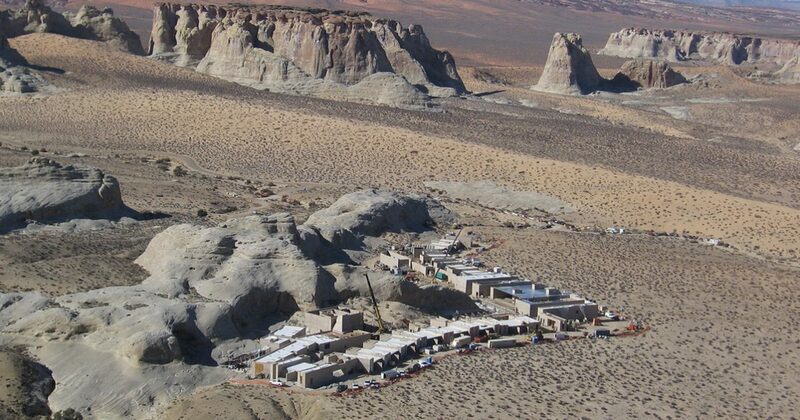 We’d like to extend a special thanks to Gary Ladd, our geological guru at Amangiri, and Mark Frankmann at Open Range Imaging for their contributions to this project.